The Google Wallet service announced on Thursday by Google, MasterCard, Citi and several US retailers represents a bold move by Google to enter the world of brick-and-mortar commerce. But it also marks a big step forward for mobile payments technology that could change consumers' experiences with shopping with their phones. Mung Ki Woo, a group executive for emerging payments in MasterCard's mobile division, met with the IDG News Service on Thursday to talk about the future of this technology. IDGNS: Why did MasterCard sign on to this project with Google? Woo: We recognize that mobile is arriving and that people are prepared to use their mobile phones to buy and to make payment transactions, and we want to be at the forefront of this movement. We are prepared to work with all the companies that share the same vision. Google is a company that is very deeply committed. They are very ambitious in this space, so we are extremely happy that we are working with them. IDGNS: What are the main barriers that have kept mobile payments from taking off? In the rest of the world, mobile phones are used as a way of providing basic financial services. And because, in the rest of the world, cards are less developed and the normal banking infrastructure is less developed, and phone penetration is so much higher than we've seen over the past few years, mobile payment developed there, but in a different way. IDGNS: Have the security issues with mobile payments been solved? Woo: It's the same PayPass technology that you have today on cards -- plastic cards -- that is going to be there on phones. It's the same level of technical security, and in addition, when you have a phone, you have a number of additional safety features. The first one is purely related to the consumer experience. A consumer will detect the fact that he's lost his phone much quicker than if he's lost his plastic card. The second thing is that if you have indeed lost your phone, we will be able to deactivate the payment function inside your phone, because the phone is a connected device. Whereas with a card, it's impossible. (In addition), on the Google Wallet you need to call up the app to be able to make a payment, and the app will ask for you to enter a four-digit code. And only then will you be able to make a payment. IDGNS: Does MasterCard believe this is more secure than a signature on a credit card receipt? Woo: I wouldn't say it's more secure, but it provides a level of control to the consumer. In some of our surveys, consumers were a little bit worried that if the operation was not controlled by the entry of a four-digit code beforehand, you could simply make a false move and you would end up tapping and paying. IDGNS: Is it difficult to get banks and retailers to sign on to the concept of mobile payments? Woo: As time goes by, I think that more and more banks and retailers will be interested. I say that for two reasons. First, let's look at the advantages for banks. When mobile payment arrives, it's going to take some of the transactions that were done via cash, some of the transactions that were done by check, and potentially some of the transactions that were done by card. For those transactions that will be taken away from cards, there's going to be no net effect. But reducing the number of transactions done by check and reducing the number of transactions done by cash actually produces net benefits for the banks. As far as merchants are concerned, I think that what is going to happen with mobile phones is not simply a payment function. It's going to be an integrated shopping experience, with dematerialized coupons and the equivalent of your loyalty card. So I believe that merchants will be able to develop new services that will increase customer acquisition and customer loyalty. IDGNS: What motivation does a carrier have for participating in a mobile payment system? Woo: The mobile industry is a very competitive industry where you have to constantly bring in new services, new functions, new features to your consumers. They are constantly trying to differentiate. IDGNS: How long do you think it's going to be before mobile payments using a phone are mainstream? Woo: We are very optimistic. This optimism is borne of observation of what has happened in the last few years. The first iPhone was released commercially in June 2007. In just four years, this has completely changed the mobile landscape. We think that penetration of this technology could be quite fast, and on the back of that, penetration of this new generation of services could also be quite fast. IDGNS: A credit card is smaller than a phone, it doesn't have a battery that can run out, lots of people are familiar with it, at least in the developed world, and supposedly it is a safe device to use. Why do I need my phone to make payments? Woo: I think that you will keep both. At some stage, you will buy a new phone. This new phone will have PayPass. And basically your bank will tell you that you can now extend your credit card account into your phone. Why wouldn't you do that? Then you would be able to tap and pay, and you would be able to access new services around coupons, around loyalty, and so on. Not all merchants are PayPass-enabled, and at those merchants, you will have to continue using your card. IDGNS: As a consumer, am I going to have to remember several different mobile payment systems, or are we going to see some consolidation? Woo: If you look at the service that's been announced this morning, it's quite simple. 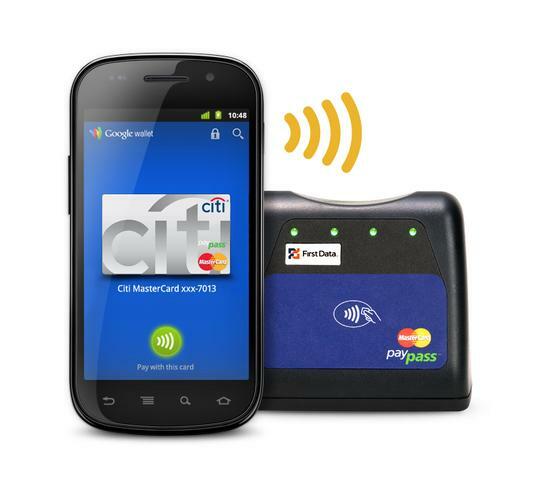 Either you're an existing Citibank MasterCard cardholder, and now you can extend this relationship into the phone. If you're not a Citibank MasterCard subscriber, you can simply take a prepaid service, and you use whatever existing card you want as a funding mechanism for this prepaid service. That gives you, as a consumer, a lot of control. Today you have plastic cards with Visa and plastic cards with MasterCard, and there's no consolidation. Would we as consumers want to have a single company that would be responsible for payments? Probably not.